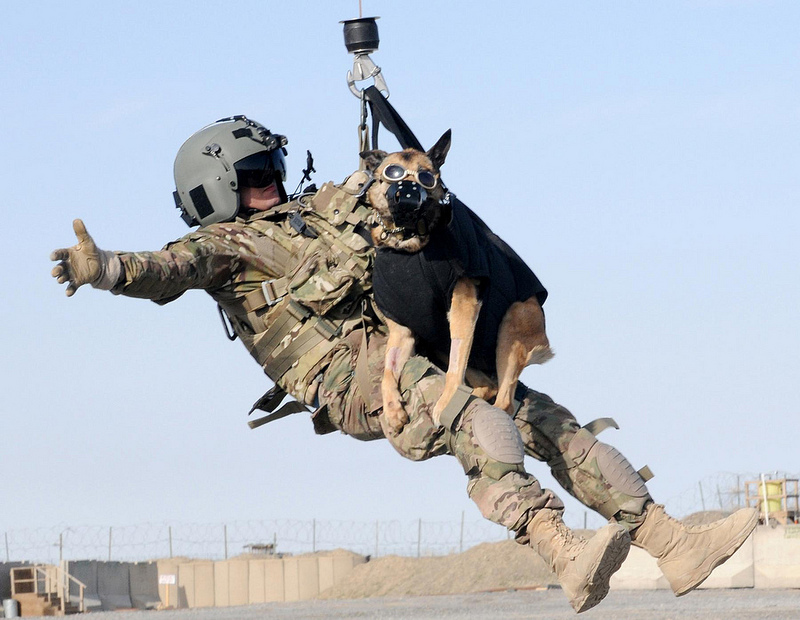 A flight medic with 2nd Battalion, 3rd Aviation Regiment, is hoisted into a medical helicopter with Luca, a Military Working Dog with 4th Stryker Brigade Combat Team, 2nd Infantry Division during a training exercise, Feb. 24, at Forward Operating Base Spin Boldak, Afghanistan. The training prepared the flight medics for medical evacuation of working dogs. U.S. Army photo by Sgt. Michael Needham, 102nd Mobile Public Affairs Detachment.